This topic summarizes how to manage a GNSS target device. See GNSS for API details. This diagram shows how to initialize a GNSS device. The COMPONENT_INIT initializes an event handler resulting in a ready state. 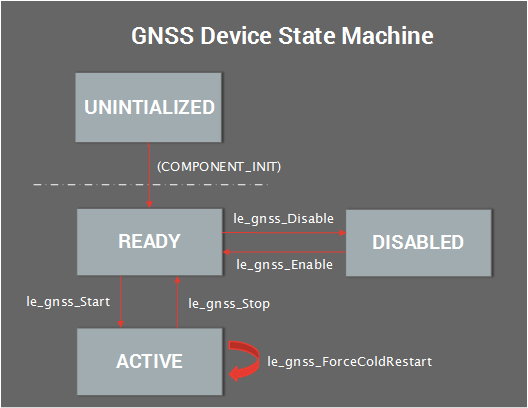 Use le_gnss_Enable() and le_gnss_Start() to move to active state.